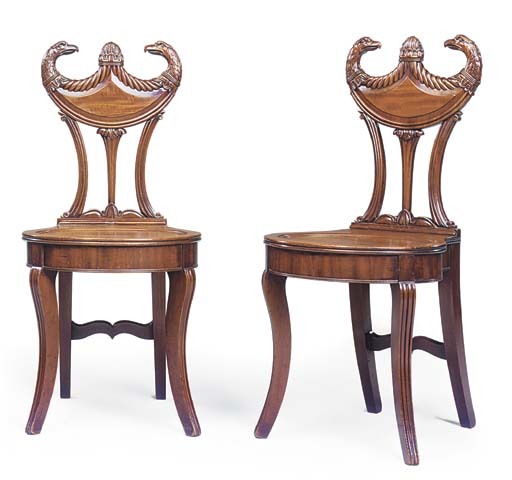 The chairs, with Grecian-scrolled feet and pelta-shield backs with eagle-heads, derive from a pattern in Thomas Sheraton's, Cabinet Dictionary, vol. I, 1803, pl. 31. A related set of four was sold by Major Bailey Worthington, Harrogate, Sotheby's, London, 30 September 1994, lot 119.